As the months creep by it seems to be increasingly harder to come up with anything spiritual or inspiring to write. It’s not that I’m in the pits of despair, but obviously things are very different than they once were. I have not lost my faith or trust in God. I believe there is so much more to all of this than I have sight of right now, but that doesn’t make it any easier to walk through. The little girl who drew everyone to this blog in the first place is not available to be the subject of my photos and videos anymore. I feel like a sad substitute for the abundant hope and joy that she projected. That was her job, her purpose, and we all fell madly in love with her! It’s as if the Grand Show is over… for now. A few beloved stragglers have stuck around in the stands to watch me sweep and mop up the dark, empty stage, sometimes helping me along the way, picking up stale popcorn and damp confetti. I am mindful not to get muddled into the trap of self-pity nor am I sharing this to elicit external pity. I’m incredibly blessed and encouraged by those of you who have stuck around. Thank you for bearing with me through my extended interludes of silence, my lighthearted attempts to make fun of myself, and through my bouts of mournful heartbreak. * Sidenote: Fisher-Price Little People (and the like) are way more cooperative than actual family members! !One of the suggestions in grief counseling to get through the holidays is to start new traditions to commemorate your loved one. We did little things to remember Norns around the house (as if we could ever possibly possibly forget her!!). It’s just the sweet reminder that she’s still with us. 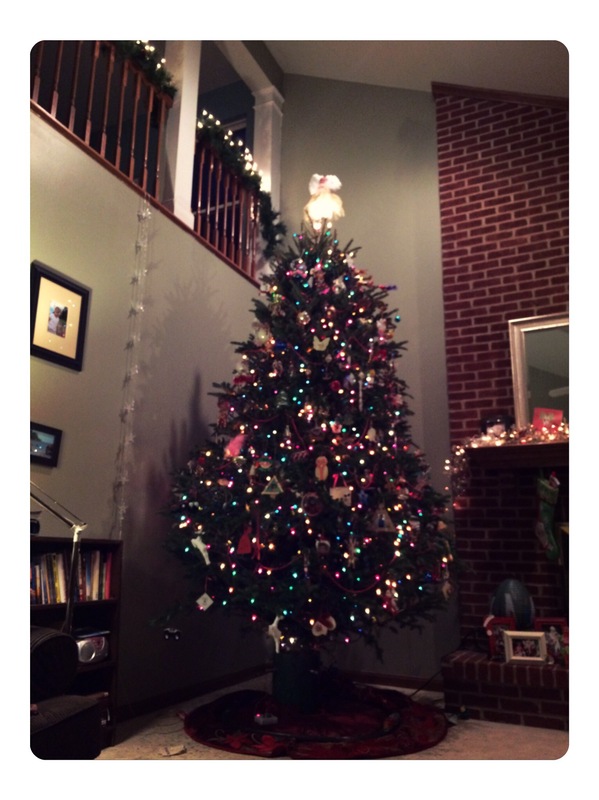 I plan on making (or buying) a Nornor ornament — a “Nornament” each Christmas for our tree. 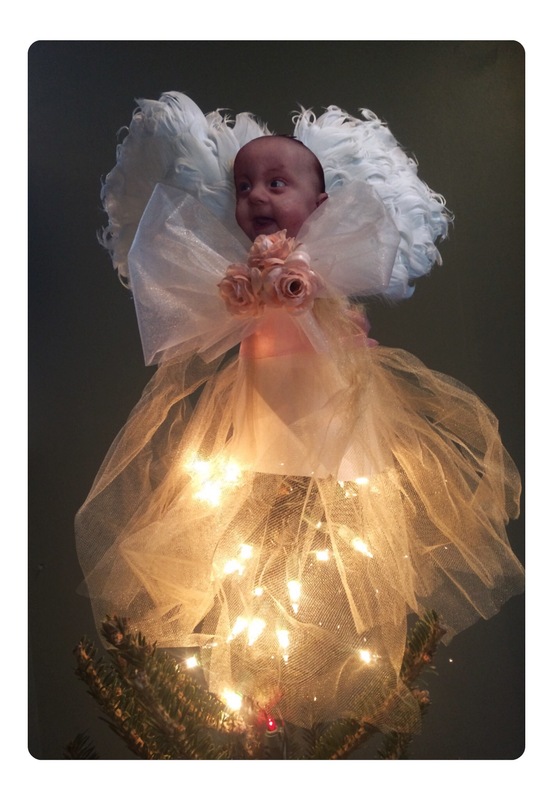 We also have a very sweet angel tree topper! 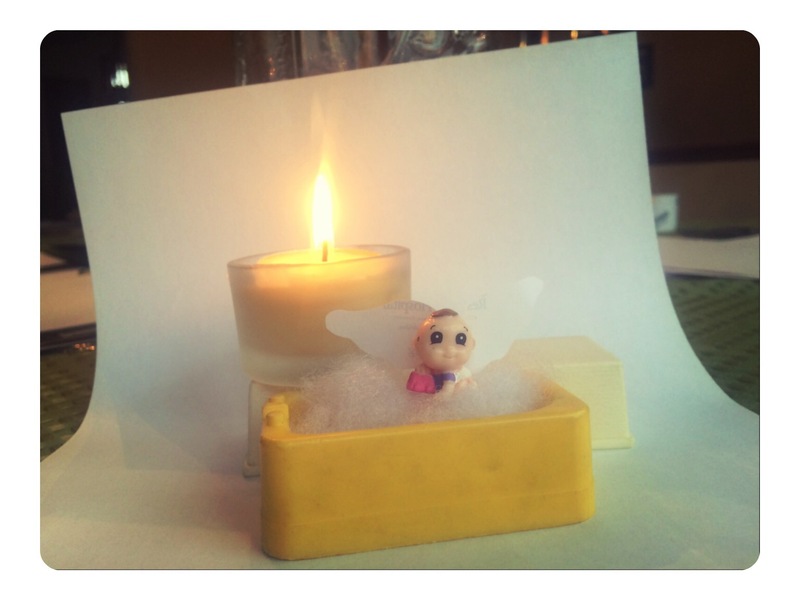 Another suggestion to get through the holidays during painful times of loss is to do something different. I would have to say that being in bed for 6 days with the flu for the entire week of Christmas hit the nail on the head there. I wasn’t up for writing any new blog posts, let alone getting out of bed for any reason, Christmas included. Every square inch of my body hurt. Now that the terrible discomfort of it has passed, I will say that I am actually grateful for that forced time of rest when ordinarily I would have been running full steam ahead trying to get everything “just so”. There was no place I wanted to be but in bed. There was no feeling sorry for myself at the sound of the garage door closing and the car driving up the street, my kids and hubzbind off to my parents’ house. There were no expectations of anything beyond Tylenol and sleep. 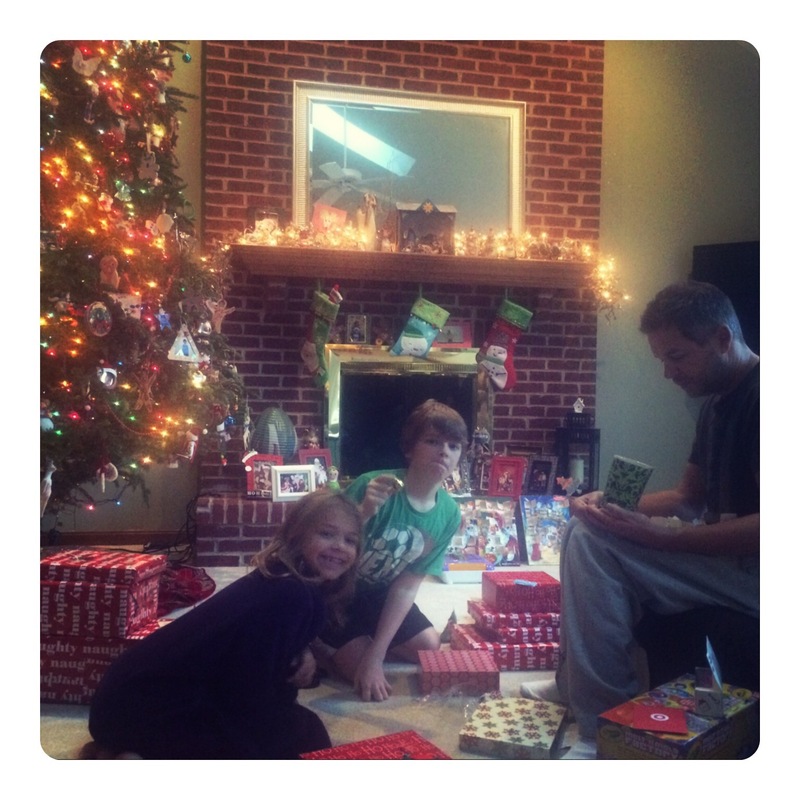 I did manage to get out of bed to watch the kids open their presents on Christmas morning. 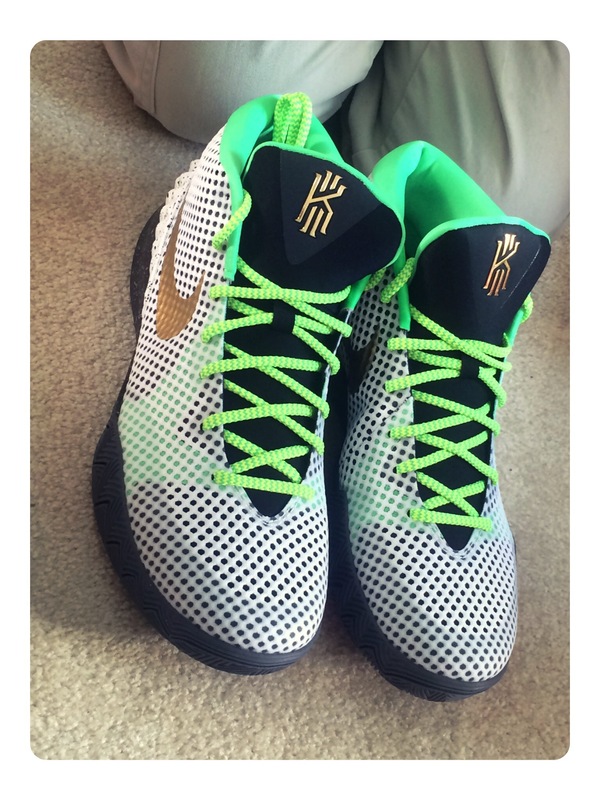 Gavin had asked for a really sweet pair of gym shoes that he designed on Nike’s website. They were not able to be delivered by Christmas, but they arrived a couple weeks later. What a completely sweet tribute that he made to his baby sister, totally unprompted. So there you have Christmas — better late than never, I suppose. Like many others who have followed your blog forever, I’ve never met you but I feel you, your family, and especially Norns are family that we haven’t seen for several years but continue on in our hearts. Nora made an enormous impact in my heart and I will never forget her. Maybe someday our paths will cross in what always demonstrates to be “a small world” but if not, please know that you and your family are always in my prayers. I hope you are able to find even a little peace in knowing you have a very special guardian angel. I pray that when I arrive at the gates and meet all my loved ones who went before me, that among the group is sweet, special NorNor. Thank you for sharing her. 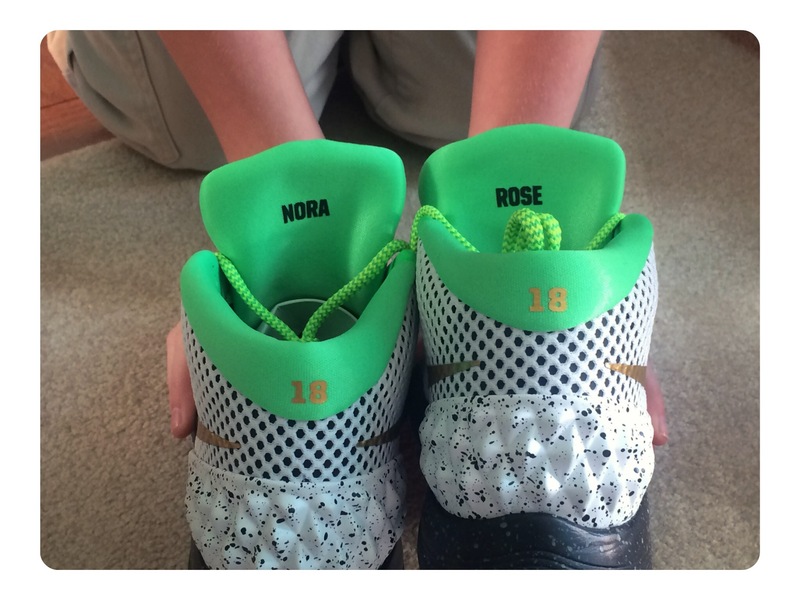 The shoes your son designed brought tears to my eyes and touched my heart so. Praying for you and your sweet family. Alesia- don’t you see, Nora is your inspiration, but to a large extent, YOU and your words are our inspiration. I think about Nora and you often. Please know you are still in my thoughts and prayers. I miss going to your blog for my daily Nora fix. Please keep the faith and know you are not forgotten. Yes we are still here, praying for you all, loving you guys from afar. Sorry about the Christmas flu but as you said God knew what you would be doing had you not been knocked out of the game. You really have a way with words, perhaps in time He will lead you from blog to a book? Your journey, Nora’s journey has taught us so much about unconditional love, grace and God’s goodness. In the meantime, I am praying for you through this hard place. Love that you still share your heart and soul with us! 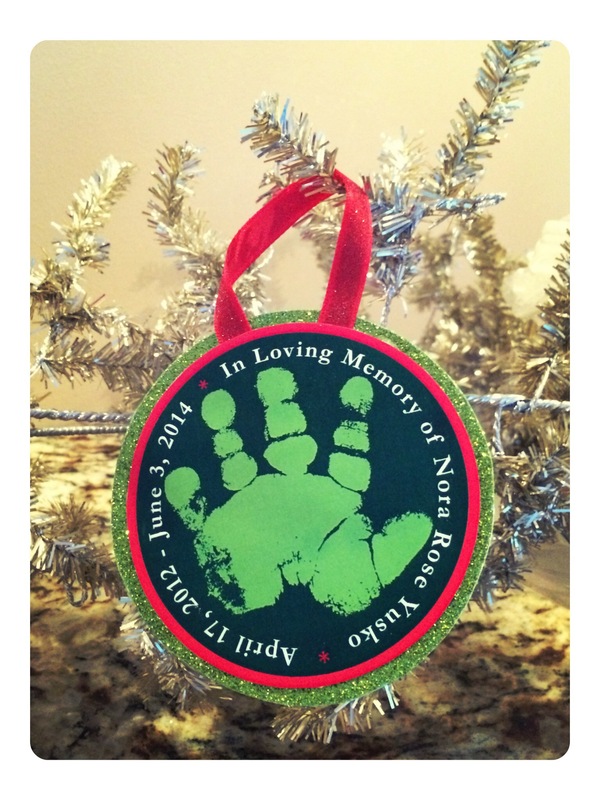 We bought new ornaments for our Nora, too! And like you decided to make it a tradition each year. I’m sure she’ll need her own tree one day! How sweet of Gavin to honor his sister! Was just asking about you guys last week! Praying for you always. We miss her, too. Thanks for sharing your heart. Thank you for still sharing with us! This past weekend, I checked my email and prayed for your family. I was worried you might have caught this nasty flu going around. We love you all!! I think of her often this time of year. I remember praying for her to make it to your arms just for a little while at the very least. The prays were answered. She became and remains such a beacon of hope. And she shows us that hope doesn’t mean the absence of tears. It promises that every tear for this child is worth it (even the ones that spring up in Dunkin’ Donuts drive-thrus). I’m sorry for how hard Christmas must have been, especially with the dang flu in addition. 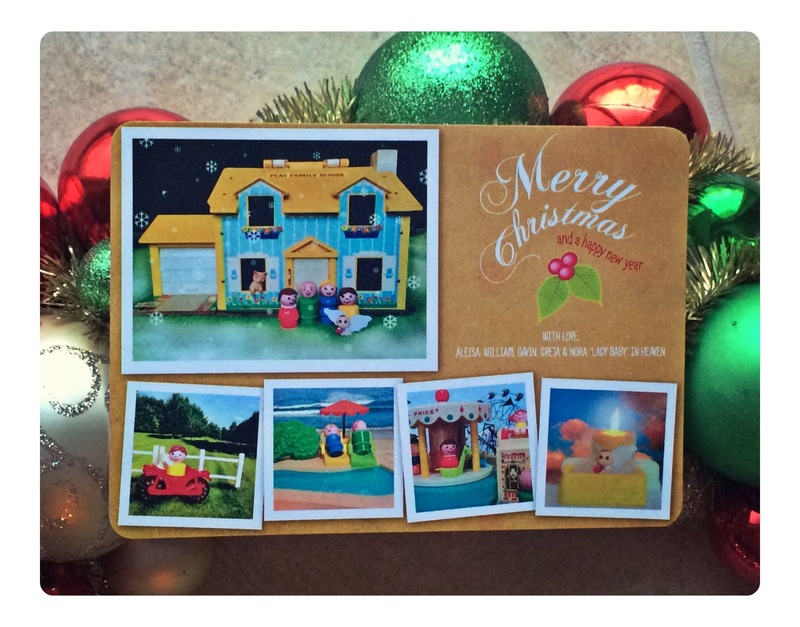 I love the little people family and card. I miss seeing Nora’s latest adventures and milestones. She is a beautiful soul ♡♡♡♡♡ prayers for you all!! I’ve never posted a comment before on your blog. However, I just wanted you to know how blessed I’ve been by your story, your journey and by Nora. Many, many, many lives have been changed through the story of Nora and the example of your faith. I will never tire of hearing from you and I hope that you will someday decide to write it all down in book form. What a legacy! Blessings to you and all the family! Thank you for sharing! I am always so encouraged and uplifted by your words and insights. I am so sorry you were hit with the flu! That is awful. I am glad you could watch your sweet kids open their presents. And I want you to know that I am praying for you and your family. I know how much you are missing precious Nora. I can’t even imagine. And through it all you are shining the light of our Lord. Much love!